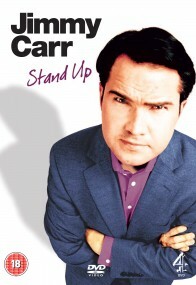 The multi award-winning and critically acclaimed comedian Jimmy Carr returns with a brand new live stand-up show. As the face of Channel 4, Jimmy has risen to become one of the most original and distinctive stars of British Comedy, developing the unique brand of perfectly timed one-liners and deadpan delivery for which he has become so well known. Recorded live at London’s legendary Bloomsbury theatre, Jimmy Carr Stand Up takes his dry and sardonic wit to a whole new level unleashing more of his delightfully crafted sick and offensive putdowns upon his audience.